Special Mass for victims of Typhoon Haiyan in the Philippines and the war in Syria. Cardinal Seán Brady celebrated a special Mass in St Patrick’s Cathedral in Armagh on Sunday for victims of Typhoon Haiyan in the Philippines and the war in Syria. He urged the faithful across Ireland to generously support the Church collection that was taken up on Sunday to aid the victims of the typhoon and the conflict in Syria. 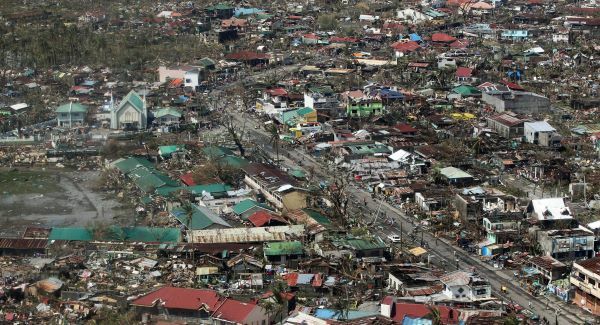 In his homily, the Archbishop of Armagh noted that many are beginning to ask what part global warming may have played in this disaster in the Philippines. “While it is impossible to link global warming to any particular event, the question needs to be asked about its overall effect on the world,” he cautioned. He said inevitably other questions were also being asked such as how could this happen and where is God in all of this? There is no easy answer to the problem of evil in the world, Cardinal Brady stated. However, he underlined that the Spirit of the Lord is present in the courage of the survivors who are valiantly and heroically striving to cope. “His Spirit is at work in those aid workers who have rushed to offer the help of their services, and in those who provided the aid. The Spirit of the Risen Lord inspires all who help in any way, those in such dire need,” he said. 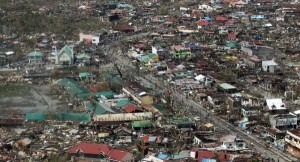 He acknowledged that the world had been “stunned, shocked and saddened by the terrible typhoon” which struck last weekend. “Our thoughts and sympathy went immediately to those who were killed or injured, and to those who lost their homes and had their property destroyed. The loss of so many lives, the injuries suffered by so many people, the destruction of countless homes and livelihoods, has touched the hearts of people all over the world,” he said at 11am Mass in St Patrick’s Cathedral. He said that in Ireland the Church had thought at once of the Irish missionaries, lay, clerical and religious serving in the Philippines and of the people whom they serve and for whom they care. The Cardinal urged the faithful to keep all those in trouble in our prayers and he suggested passing on a message of sympathy and encouragement members of the Filipino community. “The pain of those who are suffering can be made more painful if the rest of the world goes on as usual and nobody appears to notice or care. Conversely, human suffering can be lessened by those who do notice and do their best to help,” he said.